Hey everyone! As many of you will have seen on Instagram/Facebook/Twitter since April 2015 I have been travelling up and down the country to play different sites and meet players! And as the new year creeps in on us (I say creep, even though it only really seems like April was last month and now we've somehow time travelled 9 months ahead) I've been thinking about all the highlights of this year and thought it would be a cool to take stock of all the sites I've had the pleasure to play and decided on my personal top 5 for a short snappy post! (I've highlighted the word personal so it's clear this isn't anything official, just my own personal preference!) So let's get to it! Number 5! Skirmish Airsoft: The Stan, Sheffield! 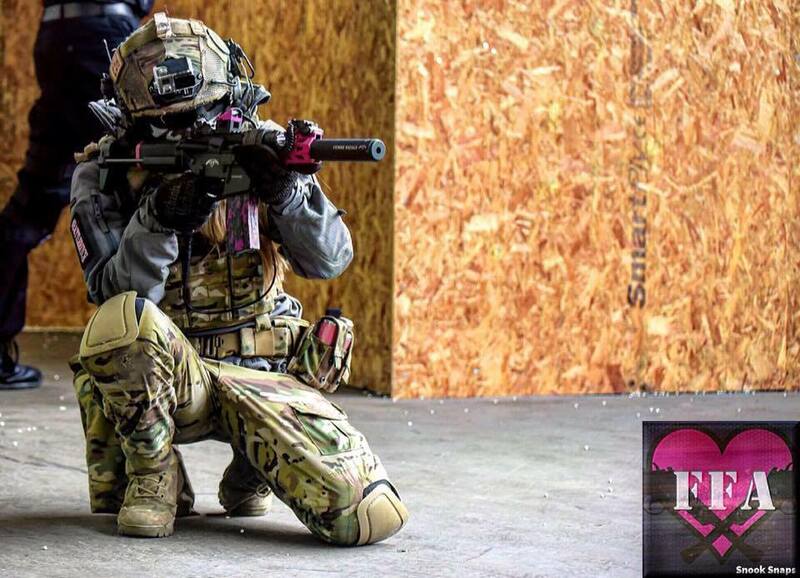 Number 5 in my 'Top 5 Airsoft Sites 2015' has to be the Stan in Sheffield ran by Skirmish Airsoft. I can't say too much about this site in this post as I'm currently writing a review of the site which will be in February's Airsoft Action, but it did not disappoint. The Stan is the old Stanley tools factory in the heart of Sheffield and is pure CQB with 3/4 floors (currently) to fight through which range from room to room clearing in offices to large open factory floors to battle through. With varied and interesting game types including VIP, infected game modes mixed in with standard team death matches and push back games. The games are well ran by enthusiastic, professional marshals. Number 4! Ambush Adventures: The Billet, Aldershot! Number 4 goes to The Billet in Aldershot that is ran by Ambush Adventures, as with the Stan I can't say too much about this fantastic site as you can read my full review in January's issue of Airsoft Action but this is definitely a site to visit if you love fast paced, hard hitting CQB goodness. The Billet is an old military barracks which is comprised of 2 spider buildings full to the brim with rooms and corridors to fight through with an outdoor space. The firefights are always super intense and I love that this site runs a lot of objective games with props and tech to compliment them! Number 3! 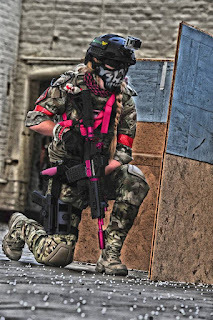 StrikeForce CQB, Gloucester! 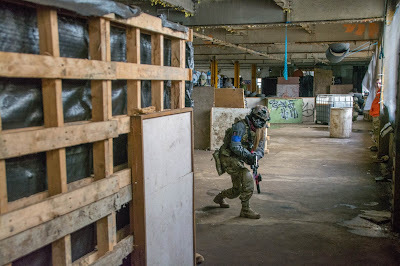 I visited StrikeForce CQB for the UKAC Admins annual Christmas 2015 meet up and admittedly was hesitant however I was pleasantly surprised with the site, the site is a huge warehouse with two definitive zones that include open spaces, kill house inspired structures and plenty of tight corners and spaces to work through. The games are very, very intense and fast paced! The games were a mix of death matches, infected games and attack and defend games which I thoroughly enjoyed. They were run very well by the sites team of marshals. The facilities at StrikeForce are excellent, and the staff are friendly. I did have some issues with a group of players on site the day I played however this is not the fault of the site and I still had a fab day. I definitely plan on playing again before writing a full review! Number 2! S.W.A.T Fortress, Liverpool! You can read my full review of S,W,A,T Fortress here but the Fortress in Liverpool is by far my favourite CQB site. It's an old tobacco factory near the centre of Liverpool with multiple levels including offices, factory floors, mezzanine area and an outdoor space to fight through. The site offers a varied gameplay experience and the days are always intense. The games are mostly objective based games including the use of electronic objective boxes which I love and the SWAT team always change it up to keep game days fresh. Their safe zone is easily one of the best I've come across and even had a shop/onsite tech. The staff really make this site for me! Number 1! Sennybridge FIBUA Training Village, Wales! 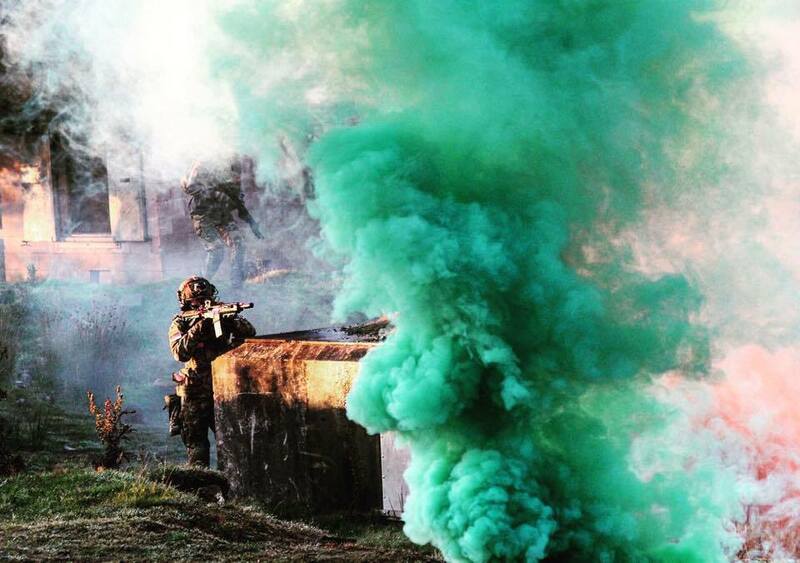 Number one in my top 5 definitely has to be the location for Warzone Battle Simulations Operation Sledgehammer which I played earlier this year - Sennybridge FIBUA Training Village in Wales. Although it's not strictly an Airsoft site as it is still in use by the MOD as a training facility, but the location for their second MilSim installment was amazing. It is a training village complete with around 25 buildings, subterranean tunnels and its own network of roads. You can read all about the Op in Airsoft Actions January issue. I enjoyed this site because of its urban feel and it offered a range of gameplay options - I got a taste of both the hard hitting, CQB that I thrive on but I also got to experience urban and woodland, both of which require a totally different skill set. Have suggestions for sites I should play in 2016? Let me know in the comments section! Arrrr I've only just spotted this! 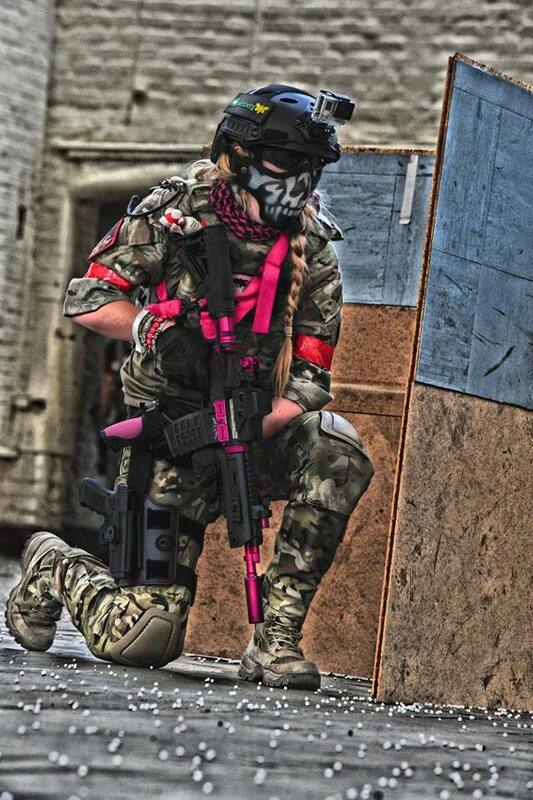 I would just like to thank Kelly for placing Warzone Battle Simulation as her number one Airsoft event provider. We are humbled by all the fantastic comments and positive feedback that we have had. We do put a lot of time money and effort into our events, and we would like to thank all our staff who also invest time and effort into making our events what they are. We will be hosting more events in 2016 starting with Combat Operation Crypt Kicker on the 26th & 27th March which will be a 34hr non stop event.